Along with my outfit, I got a coupon for Graze (get your own discount here!) 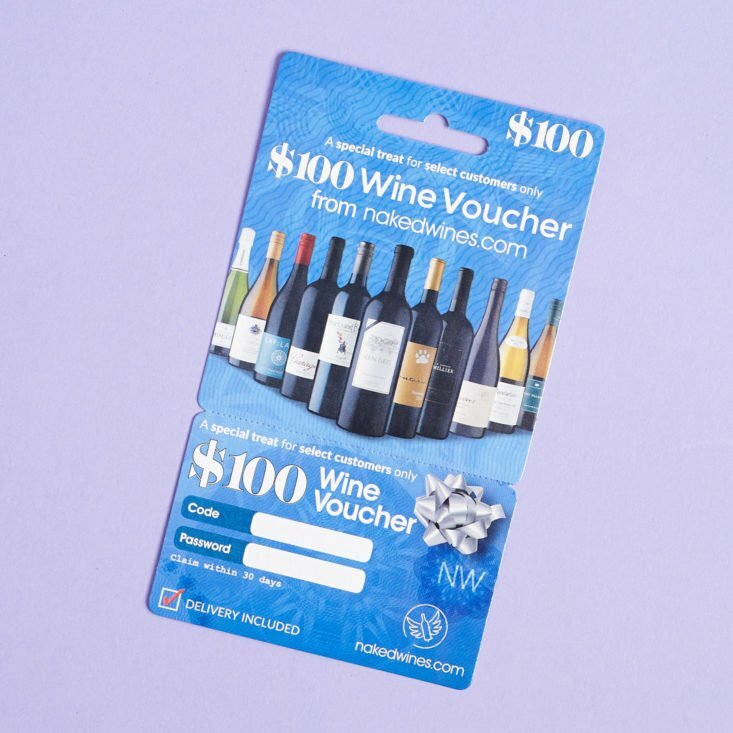 and a coupon for Naked Wines. Here’s my outfit for the month! One thing I like about Fabletics is that older styles that haven’t sold out yet tend to hang around after the current month. This outfit, for instance, came out a month or two ago. I really liked it then, but I kept hemming and hawing about whether the design of the leggings would be flattering or not. I opted for some different outfits over the last few months, but when I saw that this look was still available in my size, I decided to just bite the bullet. And I’m so happy I did! I still don’t know how flattering these leggings are, but I think they’re so darn cool that I don’t really care! I’ve been getting so into lilac this summer, so the purple hues featured in this style is great. They’re the “Salar” cut that I like most from Fabletics, and they have a comfy, brushed-cotton feel to them. (The fabric content is actually 88% polyester and 12% elastane.) There’s a secret small pocket on the inside of the waistband, and the pattern repeats on the back. The Verdict: I am soooo happy that I finally decided to go ahead and order this rad outfit. Neutral hues will almost always be my go-to, but this color combo feels like my personality embodied. It’s just head-turning enough that I’d love to wear it to one of those big outdoor yoga events that happen in town over the summer. And it’s really comfy and supportive! Value Breakdown: This top and bottom cost me $59.95, but the retail value of what I got is $124.90. And what’s frustrating is that those leggings are now in their current sale for $10. This is why I only shop Fabletics sales now. I’ve gotten ‘burned’ like this before, lol. But even more frustrating that in time of this sale, they never have my size (M) available. The only sizes left is xxxxxxxxxxxs or xxxxxxxxxxxxxxL. This is great! They have a huge sale going on for current members though if there were any other styles you missed!